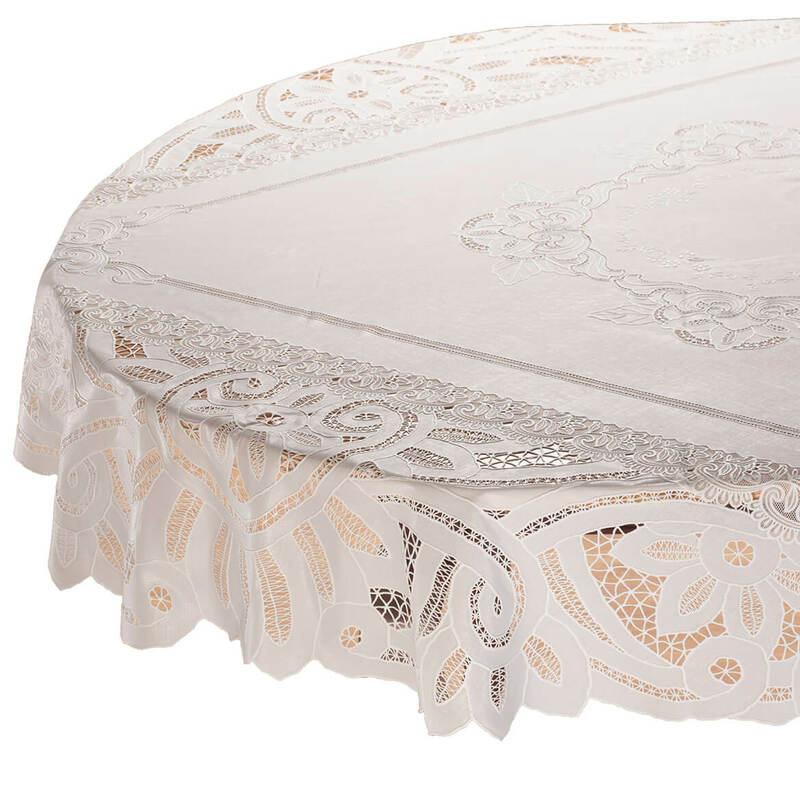 This is a beautiful tablecloth and will dress up any room. This tablecloth will be used for big family gatherings such as Sunday and Holiday dinners. If someone spills something no problem because it will clean right up using a washcloth instead of having to throw it into a washing machine. Thank you for making this product available. Our church has hospitality week-ends. 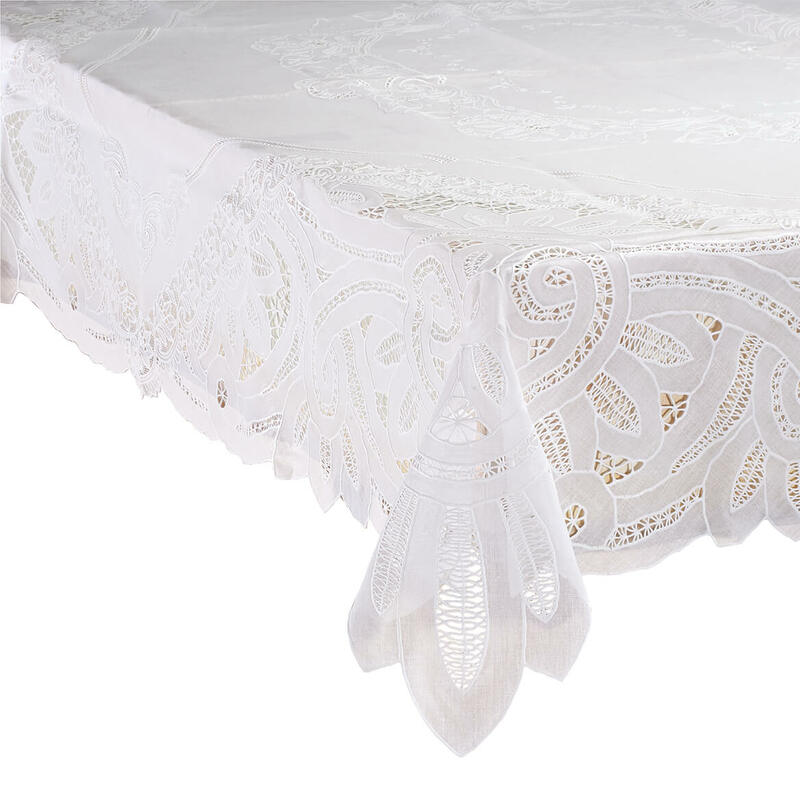 we use these tablecloths because they can be used over and over. We just wipe them off and fold them up for the next time. I bought this tablecloth for my everyday kitchen table and I love it. It looks like cloth and the design is very pretty! It's vinyl so it wipes up easily too! The easy care of these vinyl tablecloths is great! Have been using them for years and they are not only beautiful but very practical for everyday use and for parties. The church needs table covers and they wanted one of each of these table covers to try to see how they would work for the tables they have, if they work we will be buying more. Just needed a new one,and I had bought this item before so I knew it was a good deal. 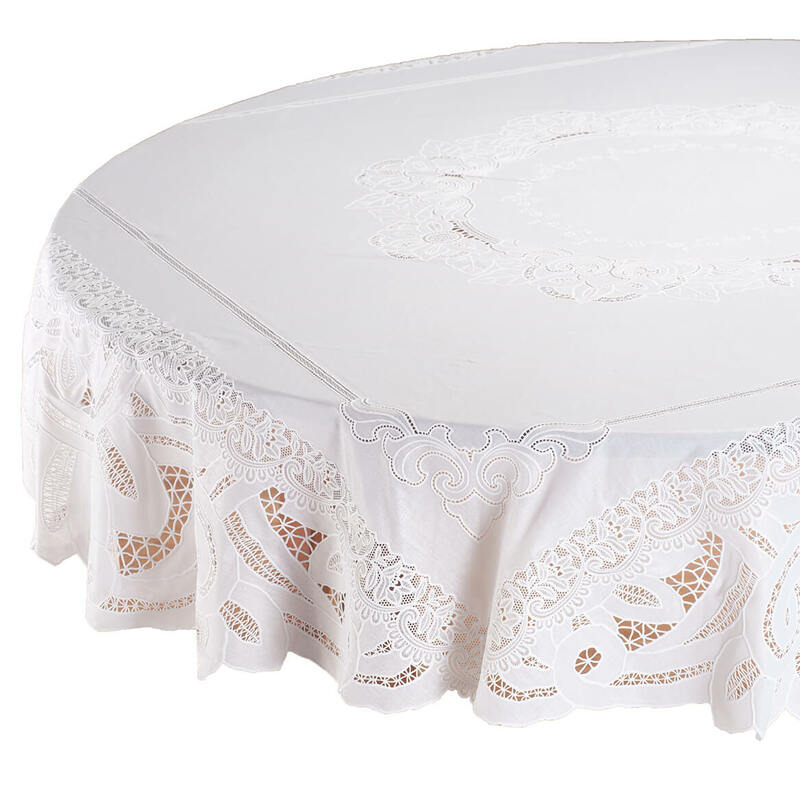 How do you know what size round table cloth to order? BEST ANSWER: Thank you for your question. You will need to measure from one side to the other to get the diameter of your table. We hope this information will be of help to you.